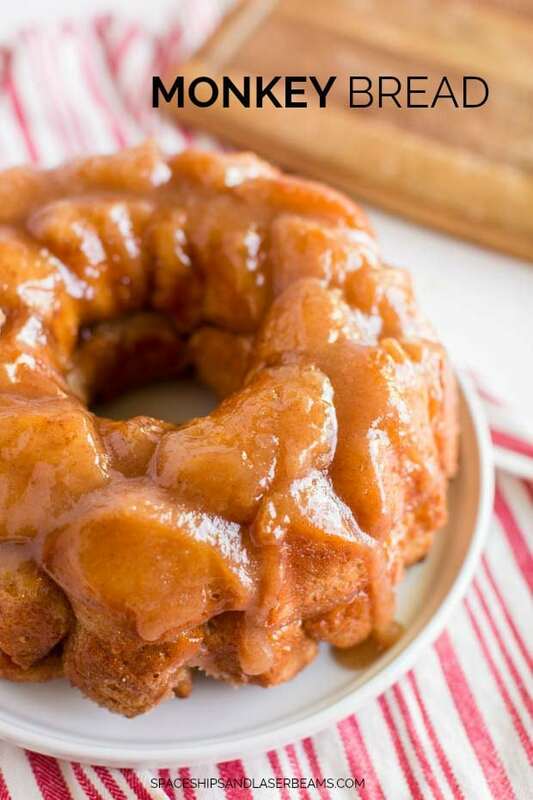 Have you ever had homemade monkey bread? It’s the best. Fresh from the oven, gooey, pull apart dough pieces baked with a buttery sugar-cinnamon caramel absolutely make any gathering special. 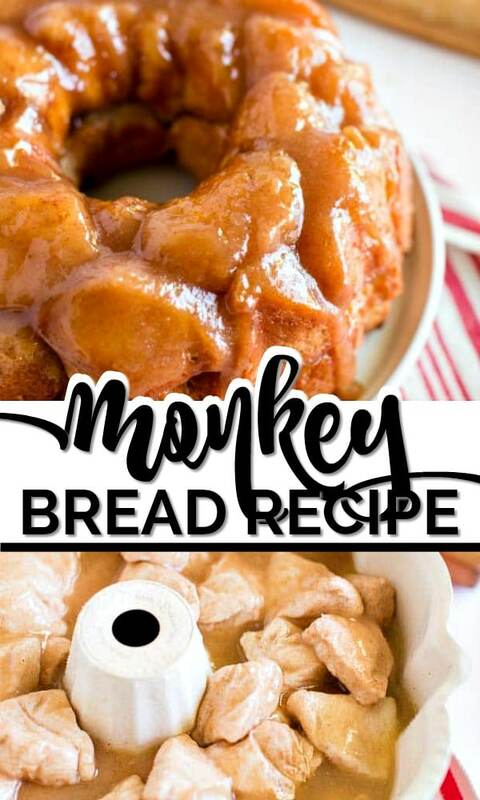 Here’s an easy recipe for how to make monkey bread. Simple ingredients like canned Grands biscuits, cinnamon, sugar, and butter add that irresistible homemade touch. 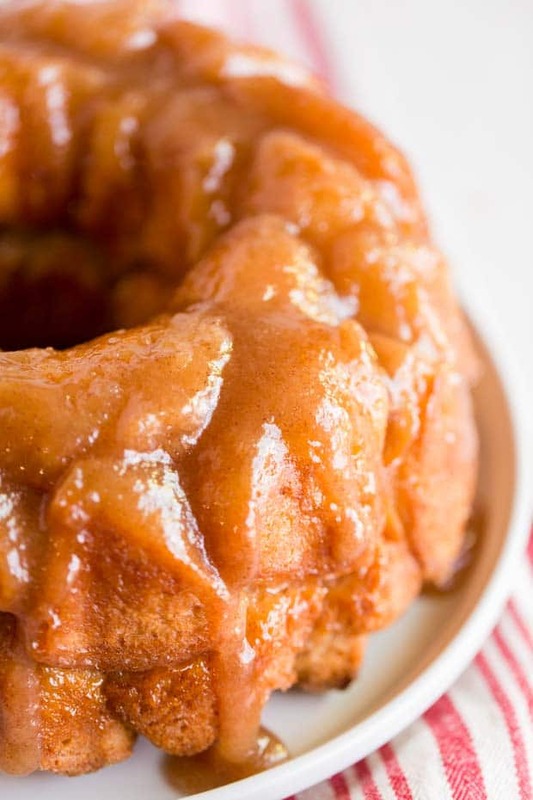 For a great twist on this classic recipe, be sure to try my orange monkey bread as well! Or make delicious monkey bread made with cinnamon rolls! 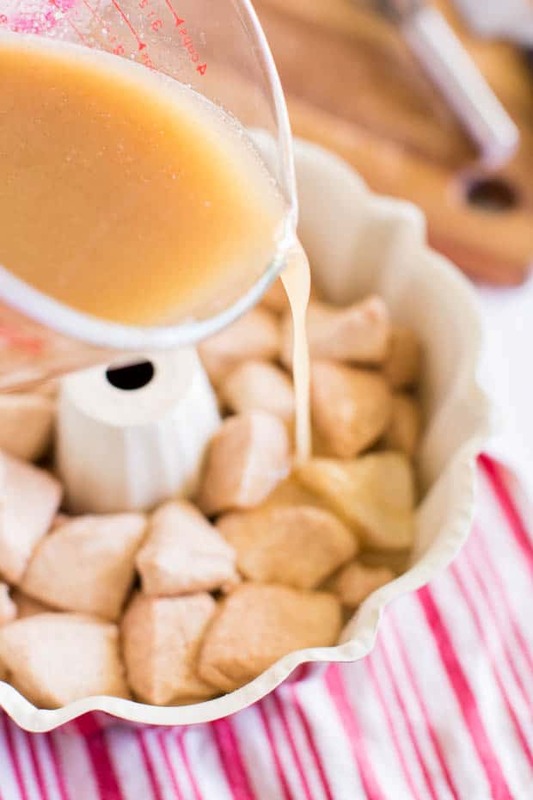 With Grands Biscuits cutting prep time, you’ll be making the best monkey bread in no time. This easy recipe is quick enough to fix for a special treat, brunch, or breakfast, even for those sleepy-heads that prefer to lounge under the covers until the last possible minute. You can even do the prep the night before you want to feast on monkey bread. Do it all except the baking. Then cover the pan of goodies and refrigerate until you’re ready to bake it. Pour cinnamon and sugar into a plastic storage bag. Remove biscuits from package cut each one into 4ths. Place the biscuits pieces, 6-7 at a time into the cinnamon and sugar and shake until well coated.Then put biscuit pieces into a well greased bundt pan. In a large measuring cup, melt the butter in the microwave. Once melted and warm, pour the remainder of the sugar mixture into the butter and stir for 30 seconds until the sugar starts to melt. Pour over the biscuits. Shake the pan to make sure the butter gets down in between all of the biscuits. Bake for 35 minutes at 350. Let sit on the counter for 10 minutes before flipping over onto a serving plate. When you arrange dough ball layers in the pan, you can add a sprinkle of raisins, currants, sweetened dried cranberries, blueberries, or butterscotch chips. And don’t forget the nuts: pecans and walnuts seem to be the favorites. After flipping the just-baked Monkey Bread ring over onto a plate, some like to top off the ring with a glaze of one cup of powdered sugar and two tablespoons of milk. It makes everything extra-sweet, but it does add an enticing shine and sparkle. You might need to add a few minutes to the bake time. Just keep an eye on it to make sure the bread is baked, not burnt. Monkey Bread Muffins – these are so good! 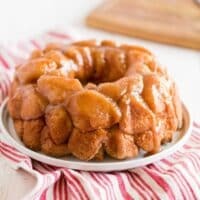 Have you ever had homemade Monkey Bread? Delicious! Fresh from the oven, gooey, pull apart dough pieces baked with a buttery sugar-cinnamon caramel absolutely make any gathering special. Remove biscuits from package cut each one into 4ths. Place the biscuits pieces, 6-7 at a time into the cinnamon and sugar and shake until well coated. Place biscuit pieces into a well greased bundt pan. Pour over the biscuits. Shake the pan to make sure the butter gets down in between all of the biscuits. Bake for 35 minutes at 350. Let sit on the counter for 10 minutes before flipping over onto a serving plate. What most people know as monkey bread today in the United States is actually the Hungarian dessert arany galuska (“golden dumpling”). Dating back to the 1880s in Hungarian literature, Hungarian immigrants brought this dish with them when they immigrated to America and began introducing it into the country’s food landscape when Hungarian and Hungarian Jewish bakeries began selling it in the mid-twentieth century. In 1972, a cookbook published by Betty Crocker included a recipe for arany galuska, which they referred to as “Hungarian Coffee Cake”. 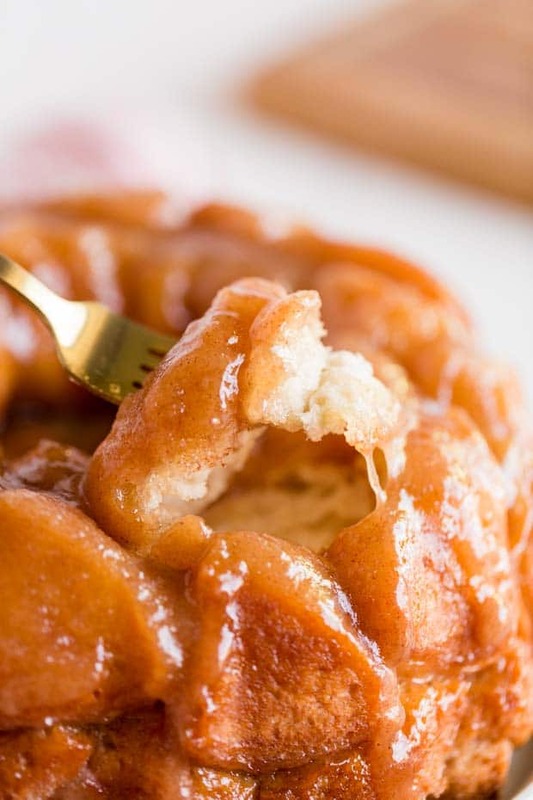 As it became more popular in America, arany galuska came to be confused with monkey bread in which the balls of dough are not dipped in cinnamon and sugar but only in butter. “Monkey bread” soon became the more common name for this Hungarian Jewish dessert. Super simple recipe and ingredients and so yummy!